Opinion Forum » The White House Did NOT Change Any Benghazi Talking Points! I want to make it absolutely clear at the outset that the White House in no way, shape or form had any input whatever in preparing any talking points memo authored by the Intelligence Community. Nor did the White House demand, request or even suggest any changes. The White House had no ability to do anything of the kind, as should be obvious even to the most visually and cognitively challenged partisan Republican. The White House is a building. 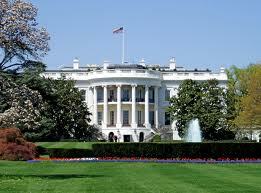 However, the White House is not merely a building. Nor is it just one of the many important and beautiful buildings in Washington. It is also of greatest historical importance to the nation, dating back to the days when our very first President, Walter Washington — the great grandson of an American slave — resided there. When sequesters and other outrageous Republican partisan efforts do not interfere, it is frequently visited by our dear little children so that they can learn American history first hand and perhaps get a fleeting glance at our heroically transparent President and his charming First Lady. Attempts to deprive our children of perhaps their only opportunity to learn American history first hand is disgraceful. If it continues, our next generation will be greatly damaged by obstructionist Republican efforts to prevent our children from learning about our rich national culture and history as you and I were privileged to do. By claiming, for gross partisan political purposes, that the White House did something bad in connection with our efforts to provide accurate information on what happened in Benghazi a very long time ago, the disloyal opposition gravely damages our nation, and not only domestically. They also cast her in an unfavorable light internationally — a situation that President Obama has from the first days of his presidency sought to rectify. Thank you for being here and for representing the very best of the legitimate news media. This concludes the press briefing unless there are important questions about what President Obama had for dinner last night. Hearing none, thank you and have a pleasant day. It was a scary day at the White House on Saturday—for about five minutes. Reports of smoke emanating from the West Wing, including the press area, led to a brief evacuation. There is as yet no clearly established causal relationship between the smoke emanating “from the West Wing, including the press area” and yesterday’s press briefing by Mr. Carney. Nor has any clear connection yet been established with the unfortunate recent conflagration at a fertilizer plant in the small town of West Texas. However, a full investigation by the FBI is underway to provide clear responses to all potentially damaging troublesome questions. Post script: After watching the House Oversight Committee hearings and reading yesterday’s media reports which likely brought about Press Secretary Carney’s briefing, I wrote a serious article about the Benghazi kerfuffle here. It seems likely that the press briefing did nothing to limit the damage to President Obama and former Secretary Clinton and that it may well have exacerbated it.